Located on the Connecticut/Rhode Island state line, the Pawcatuck River is home to the towns of Westerly and Watch Hill, both well-equipped and long-established yachting centers. 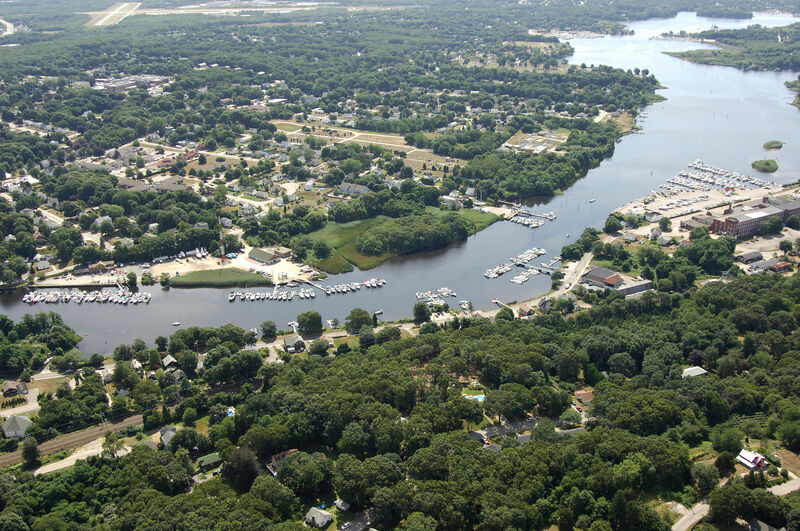 The Pawcatuck River Inlet is 17 miles west of Block Island, 18 miles east of New London and 30 miles southwest of Newport. 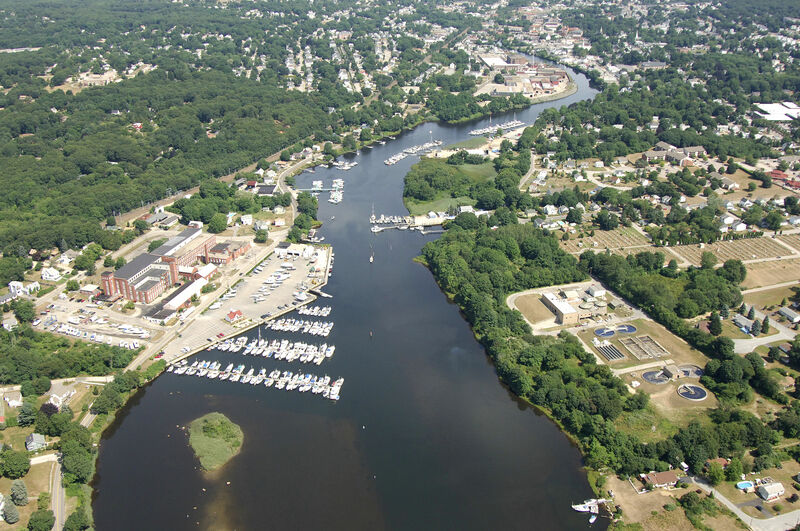 Although the river requires an indirect northern approach through Little Narragansett Bay, the Pawcatuck River is very popular with boaters and cruising mariners. Watch Hills is located just south of the river entrance and the Watch Hill Docks there will accept transient guests. Across the dunes from Watch Hill Cove is Watch Hill Point and an excellent beach for surf fishing, beach combing or lounging. The Pawcatuck River is reached via a northern route through Little Narragansett Bay. The southerly route near Watch Hill has depths of one foot throughout and is basically impassable. From inside the breakwaters at Stonington Point to the north, pick up flashing red buoy 2, and then chart a course for red nun 4 to the northeast. Once you have cleared the red nun buoy, move toward the northeast to intercept flashing green 5, which is located at the entrance to Little Narragansett Bay between Sandy and Edwards points. Green can 1 marks the beginning of the passage up the Pawcatuck. Depths in the river vary from eight to 11 feet, and generally, the buoys do carry you through the deepest water. Currents here can be strong and warrant a steady hand on the helm. 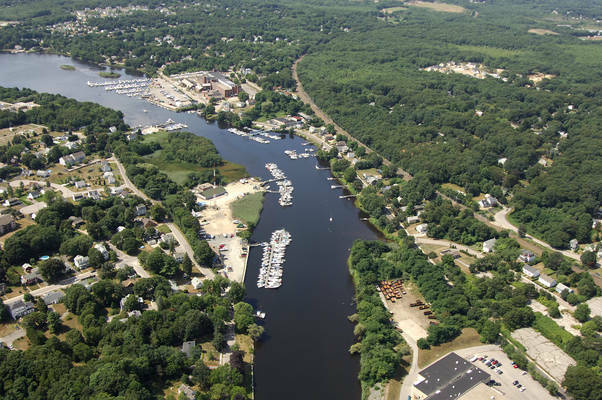 Marinas are scattered along the length of the river up to Pawcatuck and Westerly. From green can 1, pick up green can 3 and red nun 4. Red nun 4 is located at Graves Neck near Colonel Willie Cove, where there are moorings and marine facilities. Past Colonel Willie Cove, you will follow red nun 6, green can 7 and red nun 8 past a series of marinas in Avondale. There is one marina on the north shore, and one on the south at green can 7 and red nun 8, respectively. 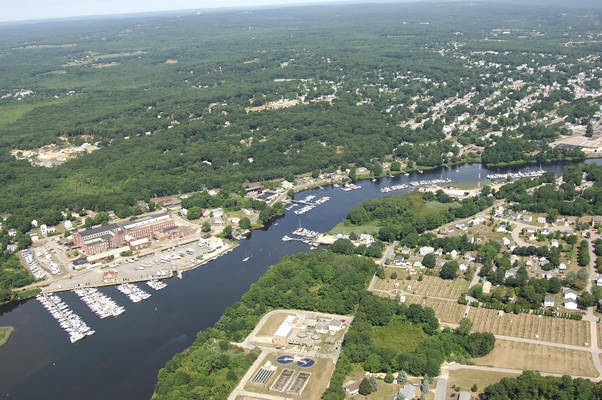 Past the marinas, follow the series of nun buoys up to Pawcatuck Rock, where the river narrows and you will come upon another set of marinas at Thompson Cove. The rest of the way up to Westerly is uneventful, but keep in mind that straying out of the channel is quite unforgiving here. Outside the marked areas, the river shallows quickly to one-foot depths. There are four marinas on the waterfront in Westerly and its sister town of Pawcatuck in CT, across the river, but only one advertises slips for transients. Best to call ahead before your arrival to secure slip space. No reviews yet! Be the first to write a review of Westerly Harbor.